This is a script from a conversation I had with another person on a submissives forum. . Names, etc have been changed. thank you for the welcome note. in regard to the parent - child scenario, no i don't have children. i don't roleplay in this regard either, rather i use it as an example as if a child is punished for misbehaving or not following the parents rules, so should a wife be. i know punishment was always a deterrent for me as a child so i feel it should work as an adult. unfortunately, for me my husband does not punish so infractions are more frequent. i'm hopeful that joining this group will help me to be more obedient. i cant seem to locate a place where there are a concrete set of rules to follow. well thanks for pm-ing me I did not expect a private answer. . . You see, I am so opposite of your thinking. That does not mean that either of us is more correct. . . it is simple the way I understand . .let me explain. . .Marriage and relationships are built in an adult world. . . adults even supervise young children's relationships. . . . therefor a spouse would not dare to punish me for any infraction in my world. . .UNLESS it is strictly play. . it smacks of abuse excuse. I am not responsible for my partner nor my friends much less acquaintances.. . . and I am pretty sure that no one is going to force you to do anything. . . because in the end YOU! . . my dear are going to take responsibility for YOU! It is a leg in your journey called LIFE and learning to be submissive and and in that the submissive one holds all the power. I wish you the very best and most interesting journey. thank you for your insight. i actually agree with you completely, however how does one reach this level of submission? That is the Million dollar question with a 5 cent answer. . .
You become completely responsible and be accountable to yourself, for yourself, by yourself. . . .how? . . .by practicing being the very best Daisy you can be. . .by being upright and trust-worthy in every aspect. . .
of course some areas will require a lot of work and some areas may come naturally. . . let go of what is not important, and decide who/what really matters. . . don't forget to allow time for play and have fun, but realize even that is a type of work, or it can be, because some of us don't know how to relax. It sometimes will not be easy. . . because breaking old habits can be difficult. . . but if you can refocus on a new one and earn it for yourself, you begin to feel more accomplished and as you feel fulfilled, you begin to reach towards more of the same. . .
Now . . .when you are on such a journey you become more desirable and attract one of 2 kinds of people. . . one you need to avoid because they see in you someone to rescue them from their own responsibility, and they may have a strong need to assist/enable them, or and this is what we are looking for, someone who who is like-minded and wants someone to mirror and complete them and you both. For them submission is simple really. . . it is a meshing and dance that allows each of you your unique and separate identity by allowing him to take the role of leadership within which you are each others primary concern and well-being. Submission is very much like the old Swiss-made clocks. Inside you will see many little gears and springs, each doing the job they are designed to do. . . imagine what would happen is one of those parts were to get selfish and demand that other parts pick up and take over for them one day, because they just wanted to, or they thought they were far superior to all the rest?. . . Even a King Pin holding it all together is nothing if he doesn't do his part . . or if he has nothing to hold together! It will take you all the rest of your life to work it out. . . because as soon as you have something under your ownership another project will appear. . . not that you even work on one thing at any time. . . but you certainly have the ability to work on specifics. So there ya go. . . you make the rules . . . or you can abdicate your power and let someone else hold you to the fire who is likely another person with dysfunctional behavior.. . we all have choices. . .and we better make them clearly. I am aware that not everyone agrees with me, but I have yet to see where people SAY they have a good relationship and see it last any length of time and not crumble apart with deep resentment when personal needs and desires are not in tandem. Perhaps another good word for submission is surrender. Complete and perfect obedience is key, because that establishes that you are trustworthy. Your method may even be better than your master, but unless you have discussed changes or the possibility beforehand you'd be best fulfilling all your word. Yes you could "get away" with stuff that is less than earth-shattering, but one day you will slip-up and have to account for that. And anyway do you really want a conscience that knows you are less than compliant? If you completely disagree with an edict, you need to let him know, and perhaps you can reach another compromise. Serafina your exquisite beauty never ceases to shine. This time it pours from the eloquent and insightful words you speak. Serafina, your exchange and willingness to help this person is lovely. Your photo is lovely too, but those aren't dogwood blossoms. These are dogwood blossoms. 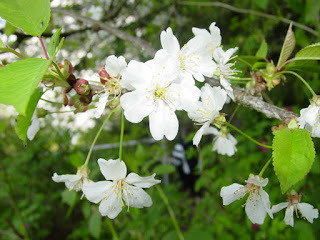 My best guess to what your photo is is some kind of flowering fruit tree? I was sure they were- thanks for the correction. 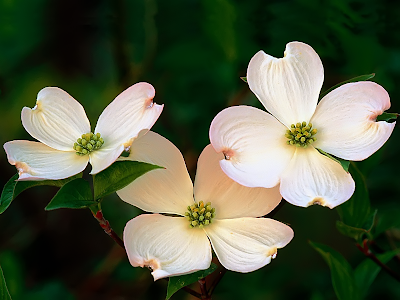 Dogwood is the Provincial flower in BC, Canada where I come from. I did not know that. :) I have lots of friends in BC, how did that escape me? I grew up with dogwood trees all over (8 in my yard alone) - it's NC's state flower too. I love this. I love all of this. Every time I read your posts I feel like I learn more. You really do put the Spiritual into things, and I adore it. Thank you.